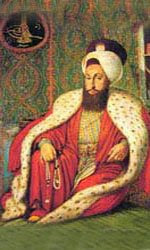 In 1517, Sultan Selim I entered Egypt and he regulated rule in Egypt via dividing power among three bodies. The Wali, the governor, is the deputy of the Sultan in Egypt and he was appointed for 3 years only. His mission was to carry out the orders of the sultan, send Jezia and lead the armies. The Divan consisted of the major officers in the Ottoman army, major employees, scholars (Ulama) and landowners. The Divan's mission was to help the Wali in ruling the country and it had the veto right to the Wali's decisions besides calling for dismissing him. The Mamlukes led the local departments, as the Ottomans wanted to make use of their experience in running the affairs of the country. 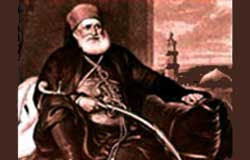 When Ali Bey Al-Kabir assumed the office of Skeikh Al-Balad, ruler of the country, he allied with Sheikh Daher Al-Omar in Palestine against the Ottoman sultan and expelled the Ottoman Wali and announced Egypt's independence. Ali Bey Al-Kabir managed to extend his influence to Al-Hejaz and Yemen and sent an army under the leadership of Muhammad Bey Abuda Dahab. Yet, the Ottomans managed to convince Abuda Dahab of allying with them against Ali Bey Al-Kabir, hence Egypt returned an Ottoman state. After the death of Abu el-Misk Kafour Al-Ikhshid, the commander of the Fatimids' armies Jawhar Al-Siqilli managed to capture Alexandria in 969 A.D. Hence, the Fatimid Caliphate began in Egypt and continued for two centuries (969: 1171). 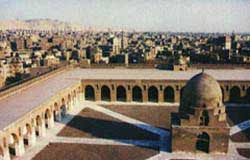 Al-Siqilli established a new capital for Egypt, namely Cairo and built Al-Azhar Mosque to teach Islamic sciences. Faris witnessed the birth of the Abbasid Caliphate when the leader of the Abbasid armies Abu Muslim Al-Khurasani revolted against the Umayyads where the battle first took place near the Euphrates before it moved to Egypt when the armies of the Abbasids, under the leadership of Salih bin Ali, achieved victory over the Umayyads and the Umayyad Caliph Marwan II was killed in 750 A.D. Then, after entering Egypt, the leader of the Abbasids Salih bin Ali established the capital of the Abbasids in Egypt called Al-Askar. 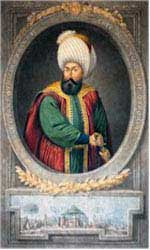 Despite the capture of Egypt, the Abbasid influence was not stable, a matter that encouraged one of the Turk leaders in the Abbasid army in Egypt Mohamed bin Tughj Al-Ikhshid to seize power. 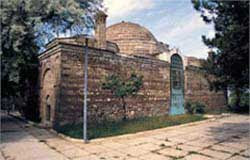 During the Ayyubid period, further advances were made in the field of architecture. Salah ed-Din's (Saladin's) Citadel still stands out as a lofty, striking example of Islamic architecture. The Mamelukes were no less advanced in this field. They also left behind a great wealth of finely designed and decorated mosques, domes, mystics' houses, palaces, schools, khans (inns), fortresses and public drinking fountains. Egyptians under Islamic rule adopted the same techniques and styles of art and ornamentation prevailing in the preceding periods. Most notable arts of this period were wood engraving and ornamentation, assembled dove tailed and lathed wood work. Islamic style textiles, porcelain and stained glass were also widely known during this period. 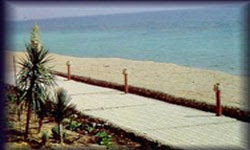 Alexandria University maintained its position as a centre of scientific research and a seat of learning for scholars from all parts of the world, during the Roman era in Egypt. Old Kingdom (Dynasties from III to VI) During the Old Kingdom, Egypt enjoyed stability, security and peace, a matter that achieved its economic, cultural and artistic progress in this time. The kings of the Old Kingdom ruled till 2800 B.C. after the throne of Egypt moved to Manf by Zoser, whose pyramid is the oldest known one at Saqqara. The Egyptian civilization flourished in this period, a matter represented in the building of the Giza Pyramids: Khufu (Cheops), Khafre (Chephren) and Menkaura (Mycerinus). 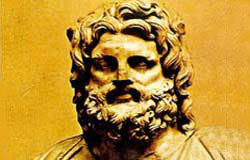 The First Middle Age (Dynasties from VII to X) This age began in 2200 B.C. when Menthotpe II (Mentuhotep) managed to reunify the country. After Menthotpe II, the Prince of Thebes, managed to reunify the country and founded a strong government, Egypt flourished economically. 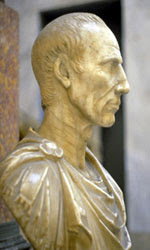 In 2000 B.C. 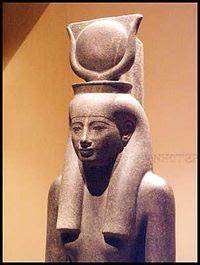 Amenemhet I played a great role in the renaissance of the Middle Kingdom. The kings and queens of Dynasty XII acquired fame all over the world in the fields of policy, war, culture civilization and religion such as Ahmos, hero of liberation, Amenhotep I who laid down fair standards for wages and incentives, Tuhutmos I, the warrior who expanded the Egyptian borders north and south, and spread out education everywhere, Tuhutmos III who possessed a unique military genius, Tuhutmos IV, the diplomat who was the first to record international agreements. This is in addition to Akhenaton who was the first to call for the oneness of the Creator and Tut Ankh Amun, who gained fame in the modern time. 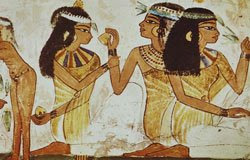 The most famous queens of this time were Ahmos Nefertari, wife of Ahmos I, Tee, mother of Akhenaton, Nefertiti, wife of Akhenaton and Hatchepsut who ruled Egypt for 20 years. 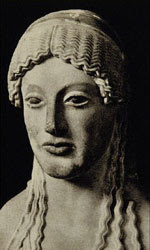 The Second Middle Age (Dynasties XIII, XVII) In 1725 B.C. 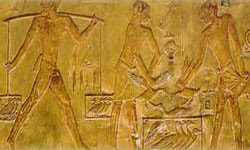 the Hyksos attacked Egypt and occupied the Egyptian lands. Yet, the princes of Thebes, led by Ahmos I, managed to expel them out of Egypt. During the period of the Middle Kingdom, many funerary temples were built. 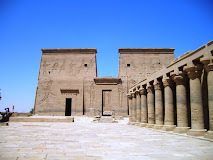 The 12th Dynasty kings were also interested in el-Fayyoum area where they attended to irrigation works. The most famous of those temples was the Labyrinth Temple or the “Maze Palace” as called by the Greeks. The temple was built in Hawwara by King Amenemehet III, who also built castles, fortresses and walls along Egypt's eastern borders. The history of Egypt is the longest continuous history, as a unified state, of any country in the world. The Nile valley forms a natural geographic and economic unit, bounded to the east and west by deserts, to the north by the sea and to the south by the Cataracts of the Nile. The need to have a single authority to manage the waters of the Nile led to the creation of the world's first state in Egypt in about 3000 BC. Egypt's peculiar geography made it a difficult country to attack, which is why Pharaonic Egypt was for so long an independent and self-contained state. The Nubians and Hyksos were among the earliest foreign rulers of Egypt, but the ancient Egyptians regained control of their country soon after their invasions. The Neo-Assyrian Empire also controlled Egypt for a while before native Egyptians regained control. Once Egypt did succumb to foreign rule, however, it proved unable to escape from it, and for 2,400 years, Egypt was governed by a series of foreign powers: the Persians, Macedonians, Romans, Byzantines, Rashidun, Umayyads, Abbasids, Ottomans, French, and British. At certain periods during these 2,400 years, Egypt was independently governed under the Ptolemies, Ikhshidids, Fatimids, Ayyubids, Mamluks and Muhammad Ali. The founders and rulers of these governments, however, were not native to Egypt. 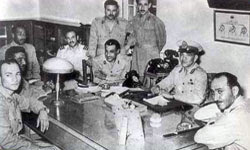 When Gamal Abdel Nasser (President of Egypt) (1954–1970) remarked that he was the first native Egyptian to exercise sovereign power in the country since Pharaoh Nectanebo II, deposed by the Persians in 343 BC, he was exaggerating only slightly. Upper Egyptian folk musicians from Kom Ombo. Egyptian music is a rich mixture of indigenous, Mediterranean, African and Western elements. In antiquity, Egyptians were playing harps and flutes, including two indigenous instruments: the ney and the oud. Percussion and vocal music also became an important part of the local music tradition ever since. Contemporary Egyptian music traces its beginnings to the creative work of people such as Abdu-l Hamuli, Almaz and Mahmud Osman, who influenced the later work of Egyptian music giants such as Sayed Darwish, Umm Kulthum, Mohammed Abdel Wahab and Abdel Halim Hafez. These prominent artists were followed later by Amr Diab. He is seen by many as the new age "Musical Legend", whose fan base stretches all over the Middle East and Europe. From the 1970s onwards, Egyptian pop music has become increasingly important in Egyptian culture, while Egyptian folk music continues to be played during weddings and other festivities. Egypt is famous for its many festivals and religious carnivals, also known as mulid. They are usually associated with a particular Coptic or Sufi saint, but are often celebrated by all Egyptians irrespective of creed or religion. Ramadan has a special flavor in Egypt, celebrated with sounds, lights (local lanterns known as fawanees) and much flare that many Muslim tourists from the region flock to Egypt during Ramadan to witness the spectacle. The ancient spring festival of Sham en Nisim (Coptic: Ϭⲱⲙ‘ⲛⲛⲓⲥⲓⲙ shom en nisim) has been celebrated by Egyptians for thousands of years, typically between the Egyptian months of Paremoude (April) and Pashons (May), following Easter Sunday. Egyptian culture has five thousand years of recorded history. Ancient Egypt was among the earliest civilizations and for millennia, Egypt maintained a strikingly complex and stable culture that influenced later cultures of Europe, the Middle East and other African countries. After the Pharaonic era, Egypt itself came under the influence of Hellenism, Christianity, and Islamic culture. Today, many aspects of Egypt's ancient culture exist in interaction with newer elements, including the influence of modern Western culture, itself with roots in ancient Egypt. The work of early nineteenth-century scholar Rifa'a et-Tahtawi gave rise to the Egyptian Renaissance, marking the transition from Medieval to Early Modern Egypt. His work renewed interest in Egyptian antiquity and exposed Egyptian society to Enlightenment principles. Tahtawi co-founded with education reformer Ali Mubarak a native Egyptology school that looked for inspiration to medieval Egyptian scholars, such as Suyuti and Maqrizi, who themselves studied the history, language and antiquities of Egypt. Egypt's renaissance peaked in the late 19th and early 20th centuries through the work of people like Muhammad Abduh, Ahmed Lutfi el-Sayed, Tawfiq el-Hakim, Louis Awad, Qasim Amin, Salama Moussa, Taha Hussein and Mahmoud Mokhtar. They forged a liberal path for Egypt expressed as a commitment to individual freedom, secularism and faith in science to bring progress. Eighteenth dynasty painting from the tomb of Theban governor Ramose in Deir el-Madinah. The Egyptians were one of the first major civilizations to codify design elements in art and architecture. The wall paintings done in the service of the Pharaohs followed a rigid code of visual rules and meanings. Egyptian civilization is renowned for its colossal pyramids, colonnades and monumental tombs. Well-known examples are the Pyramid of Djoser designed by ancient architect and engineer Imhotep, the Sphinx, and the temple of Abu Simbel. Modern and contemporary Egyptian art can be as diverse as any works in the world art scene, from the vernacular architecture of Hassan Fathy and Ramses Wissa Wassef, to Mahmoud Mokhtar's famous sculptures, to the distinctive Coptic iconography of Isaac Fanous. The Cairo Opera House serves as the main performing arts venue in the Egyptian capital. Egypt's media and arts industry has flourished since the late nineteenth century, today with more than thirty satellite channels and over one hundred motion pictures produced each year. Cairo has long been known as the "Hollywood of the Middle East;" its annual film festival, the Cairo International Film Festival, has been rated as one of 11 festivals with a top class rating worldwide by the International Federation of Film Producers' Associations. To bolster its media industry further, especially with the keen competition from the Persian Gulf Arab States and Lebanon, a large media city was built. Some Egyptian-born actors, like Omar Sharif, have achieved worldwide fame. Literature constitutes an important cultural element in the life of Egypt. Egyptian novelists and poets were among the first to experiment with modern styles of Arabic literature, and the forms they developed have been widely imitated throughout the Middle East. The first modern Egyptian novel Zaynab by Muhammad Husayn Haykal was published in 1913 in the Egyptian vernacular. Egyptian novelist Naguib Mahfouz was the first Arabic-language writer to win the Nobel Prize in Literature. Egyptian women writers include Nawal El Saadawi, well known for her feminist activism, and Alifa Rifaat who also writes about women and tradition. Vernacular poetry is perhaps the most popular literary genre amongst Egyptians, represented by the works of Ahmed Fouad Negm (Fagumi), Salah Jaheen and Abdel Rahman el-Abnudi. Cairo's unique cityscape with its ancient mosques. 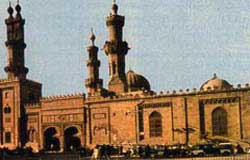 Since 640 AD, as many mosques have appeared throughout Egypt, so Cairo, has acquired the nickname of "city of a thousand minarets"
Religion in Egypt controls many aspects of social life and is endorsed by law. Egypt is predominantly Muslim, with Muslims comprising about 90% of a population of around 80 million Egyptians Almost the entirety of Egypt's Muslims are Sunnis. A significant number of Muslim Egyptians also follow native Sufi orders, and there is a minority of Shi'a. Most of the non-Muslims in Egypt are Christians. Christians represent around 10% of the population and are the largest Christian community in the Middle East. Around 90% of Christians in Egypt belong to the native Coptic Orthodox Church of Alexandria. 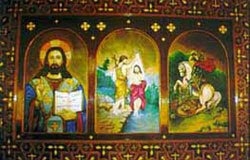 Other native Egyptian Christians are adherents of the Coptic Catholic Church, the Coptic Evangelical Church and various Coptic Protestant denominations. Non-native Christian communities are largely found in the urban regions of Cairo and Alexandria. 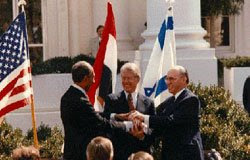 There is also a small, but nonetheless historically significant, non-immigrant Bahá'í population around 2000, and an even smaller community of Jews of about 200, then a tiny number of Egyptians who identify as atheist and agnostic. The non-Sunni, non-Coptic communities range in size from several hundreds to a few thousand. 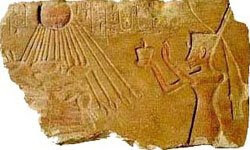 The original Ancient Egyptian religion has all but disappeared. According to the constitution of Egypt, any new legislation must at least implicitly agree with Islamic law; however, the constitution bans political parties with a religious agenda. 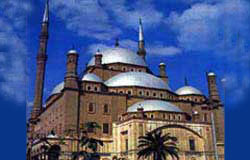 Egypt hosts two major religious institutions. 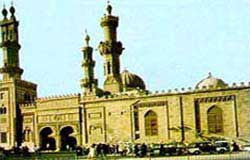 Al-Azhar University, founded in 970 A.D by the Fatimids as the first Islamic University in Egypt and the main Egyptian Church the Coptic Orthodox Church of Alexandria established in the middle of the 1st century by Saint Mark. In Egypt, Muslims and Christians live as neighbors, they share a common history and national identity. They also share the same ethnicity, race, culture, and language. Millions of Egyptians follow the Christian faith as members of the Coptic Orthodox Church of Alexandria. Religion plays a central role in most Egyptians' lives, The Adhan (Islamic call to prayer) that is heard five times a day has the informal effect of regulating the pace of everything from business to media and entertainment. Cairo is famous for its numerous mosque minarets and is justifiably dubbed "the city of 1,000 minarets", with a significant number of church towers. 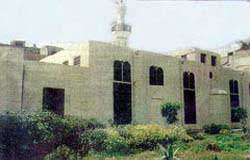 This religious landscape has been marred by a history of religious extremism, recently witnessing a 2006 judgement of Egypt's Supreme Administrative Court, which made a clear legal distinction between "recognized religions" (i.e., Islam, Christianity, and Judaism) and all other religious beliefs. This ruling effectively delegitimizes and forbids practice of all but the three Abrahamic religions. This judgement had made it necessary for non-Abrahamic religious communities to either commit perjury or be denied Egyptian identification cards (see Egyptian identification card controversy), until a 2008 Cairo court case ruled that unrecognized religious minorities may obtain birth certificates and identification documents, so long as they omit their religion on court documents. 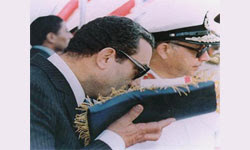 In 2002, under the Mubarak government, Coptic Christmas (January the 7th) was recognized as an official holiday, though Copts complain of being minimally represented in law enforcement, state security and public office, and of being discriminated against in the workforce on the basis of their religion. The Coptic community, as well as several human rights activists and intellectuals, maintain that the number of Christians occupying government posts is not proportional to the number of Copts in Egypt. Egypt's economy depends mainly on agriculture, media, petroleum exports, and tourism; there are also more than three million Egyptians working abroad, mainly in Saudi Arabia, the Persian Gulf and Europe. The completion of the Aswan High Dam in 1970 and the resultant Lake Nasser have altered the time-honored place of the Nile River in the agriculture and ecology of Egypt. A rapidly-growing population, limited arable land, and dependence on the Nile all continue to overtax resources and stress the economy. The government has struggled to prepare the economy for the new millennium through economic reform and massive investments in communications and physical infrastructure. Egypt has been receiving U.S. foreign aid (since 1979, an average of $2.2 billion per year) and is the third-largest recipient of such funds from the United States following the Iraq war. 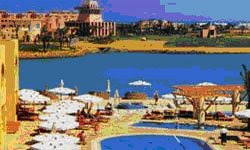 Its main revenues however come from tourism as well as traffic that goes through the Suez Canal. Egypt has a developed energy market based on coal, oil, natural gas, and hydro power. Substantial coal deposits are in the north-east Sinai, and are mined at the rate of about 600,000 tonnes (590,000 LT/660,000 ST) per year. Oil and gas are produced in the western desert regions, the Gulf of Suez, and the Nile Delta. Egypt has huge reserves of gas, estimated at over 1,100,000 cubic meters (39,000,000 cu ft) in the 1990s, and LNG is exported to many countries. Tourists ride in traditional Nile boats. FDI (Foreign Direct Investment) into Egypt has increased considerably in the past few years due to the recent economic liberalization measures taken by minister of investment Mahmoud Mohieddin, exceeding $6 billion in 2006. Although one of the main obstacles still facing the Egyptian economy is the trickle down of the wealth to the average population, many Egyptians criticize their government for higher prices of basic goods while their standards of living or purchasing power remains relatively stagnant. Often corruption is blamed by Egyptians as the main impediment to feeling the benefits of the newly attained wealth. Major reconstruction of the country's infrastructure is promised by the government, with a large portion of the sum paid for the newly acquired 3rd mobile license ($3 billion) by Etisalat. The best known examples of Egyptian companies that have expanded regionally and globally are the Orascom Group and Raya. The IT sector has been expanding rapidly in the past few years, with many new start-ups conducting outsourcing business to North America and Europe, operating with companies such as Microsoft, Oracle and other major corporations, as well as numerous SME's. Some of these companies are the Xceed Contact Center, Raya Contact Center, E Group Connections and C3 along with other start ups in that country. The sector has been stimulated by new Egyptian entrepreneurs trying to capitalize on their country's huge potential in the sector, as well as constant government encouragement.